Our agency’s specialty is Brand Representation. 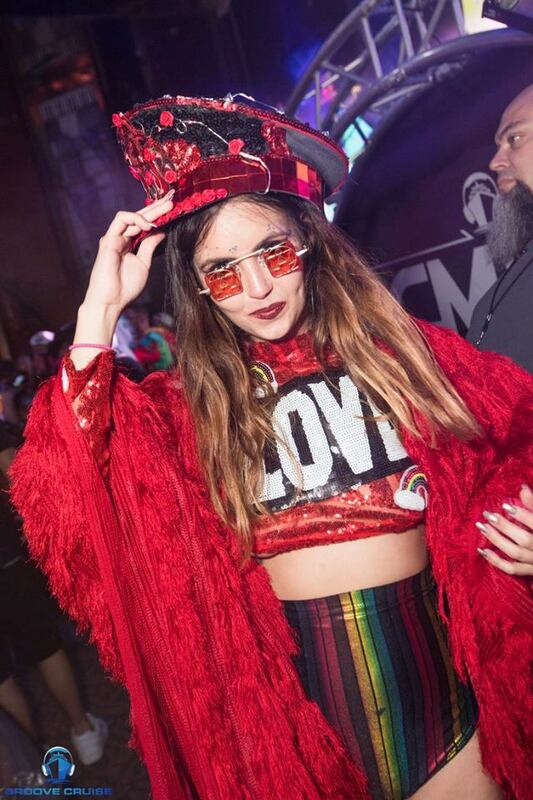 We facilitate personal connections within an event-based community on behalf of your brand, built around an original performance, and designed by our agency to deliver a truly unforgettable experience to that event’s audience. Our activations engage audiences within some of the largest music festivals in the world, typically averaging tens of thousands of attendees each day. Through that, we allow you the opportunity to get name recognition within these large audiences by co-creating an experience with us that lasts in their mind. What we deliver beyond that intimate performance & engagement is photo/video content detailing the entire activation. We can do a live takeover of your social media channel on Snapchat, Instagram, or Facebook, and create media content post-event to release for your own marketing & promotion. Building a brand is building a community. We create Emotional Impact on a scale that still feels authentic and by capturing it as photo/video content, we convert it to a micro-series to use as premium marketing material in building your online community. The Festival Fashion Show is just that, a show. It's a touring social media series that's filmed in many different festivals across the globe. By partnering with us, we're using a tried & true production to build brand awareness in your customers minds within a massive live event & online simultaneously. What you're getting is a team of professional producers and performers that are experienced in connecting with people quickly and deeply through dance, conversation, fashion, and larger than life personas. Where do our models come from? We target them from within an event's existing audience through social media. We do this for two reasons: First, it facilitates engagement for everyone involved. The community within these events is tightly connected and word of mouth for fan-features in a full stage production spread like wildfire. Secondly, by featuring models through an application process, we can select people for whatever reasons we wish. We use this control to feature people based on how they are bettering their community and the lives of the people around them. We amplify the right people and that's a reputation worth branding. We create magic-moment experiences for event attendees that turn a DJ set, dinner, or otherwise fun moments into something unforgettable. We plan ahead of time a whole series of appearances that coincide with event scheduling to create memories and piggyback on where we know people will already be. Guests are constantly asking for photo opportunities because of how our performers dress, and capturing us when we least expect it. "Reality TV" leaves a lot to be desired, but we think this is what it would look like there was a stronger sense of rapport & connection between consumer and content. While we get content, all the attendees do too. So, what does that look like for your brand? It's personalized. We can brand the social media, the video & photo content, feature you in the fashion show, and craft totally new ways to represent yourself in person AND online. 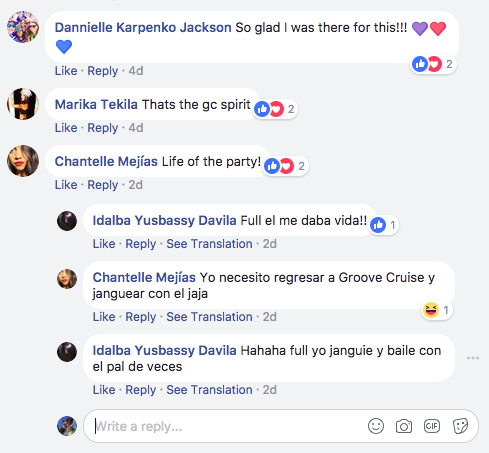 The picture to the left is our fashion show activated on Groove Cruise Miami, their Facebook & social media community is filled with posts like this one, photos with our host and emcee, and engagement pre & post event. The after-video and other content from the event is also ripe for branding and release across platform. We designed this to create as much momentum as possible from every angle; we're here to redefine brand representation.